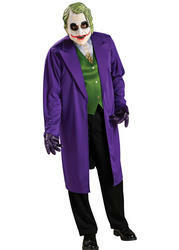 Size Choose Size Large 42-44"Medium 38 -40"Small 34-36"
Transform yourself into the worlds most iconic sidekick of all time with this amazing Robin fancy dress costume. This deluxe version of the Robin fancy dress costume is one of the most premium available and comprises of a one piece red, green and yellow jumpsuit with attached boot toppers and realistic muscle padded front, an attached cape and Super hero eye mask complete the classic sidekick look. 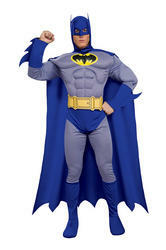 Perfect for any fancy dress party, especially when worn in conjunction with friends also dressed as Batman characters. Why not persuade a friend to attend alongside you dressed as Batman ?